The décor-savvy homeowners tend to favor autumn because it welcomes in warm, comforting scents and relaxing aesthetics. If you’re one to change your home’s décor scheme along with the seasons, this is the perfect time to start brainstorming themes and begin any fall-themed DIY projects. You can create the perfect ambiance in a room by adding or revamping a few key accent pieces. Lamps and candle holders are the perfect projects to start with, since they're fun, affordable and easy. Desk and table lamps are key accents because they’re attractive yet functional. 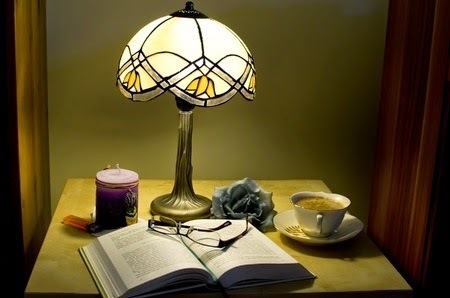 Whether it be to enhance light through the darker evenings, or to improve study efforts, lamps are ideal this time of year. If you’ve always been one to march to beat of your own drum, DIY lamps are the way to go. You can create unique light fixtures out of almost any object or material that matches the rest of your room. Moreover, with so many different ideas and styles, you can make a lamp to represent almost anything that you love, for almost any purpose. If it exists, Pinterest has tutorial for it. For the common rooms, you can find a myriad of examples based on the look you want. For example, if you want to keep things rustic, you can learn how to restore antique lamps for your specific needs. Like we said, we have seen it all on Pinterest. You can find unique DIY lampshade tutorials for almost any style or season, and there are even tutorials for making lamps out of everyday objects. There's one tutorial on how to make a lamp out of a stack of books - perfect for cozy reading or studying areas! For your benefit, we've linked a few of our favorite tutorials below.